Goliad Review is a journal designed to offer a unique model, one not funded by a university or grants, for publishing and reviewing the finest literary work in the U.S. and abroad. It features fiction, nonfiction, poetry, and reviews of contemporary literature. All contributors paid generously for their work. Goliad Review is now accepting submissions for our forthcoming issue. 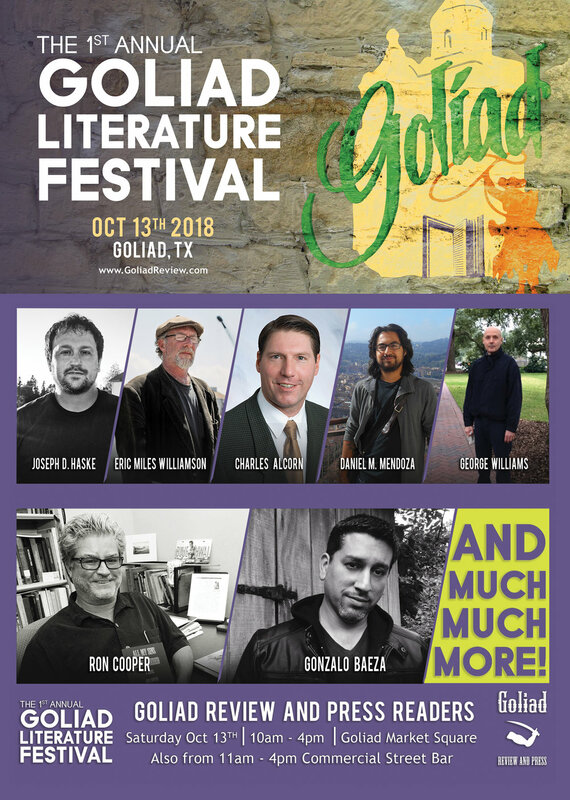 Goliad Press also publishes exceptional stand-alone works of literary fiction, nonfiction, and poetry.